This is a coastal resort- Andratx. Are you thinking of coming over to Mallorca? Is so then it is the best and right time to do so. This place is great and famous because of its kind of paradise nature of lifestyle here. It is simply a home to most of the most of the spectacular beaches and sceneries in Mallorca. This includes Sa Mola, Camp de Mar, Sant Elm and Cala Degos. If you are intending to own property here in Puerto Andratx then you have the option of real wide ranges of great and high-end properties that you will choose from. This includes the luxury villas, front apartments, sea golf resorts and the front line estates. There is definitely not more that you can expect from a lovely place as this. In addition, the place is easily and quickly accessible. Talking of the capital, Son San Juan airport or from Palma, it only takes just 30 minutes to arrive here. It is also possible to fly to most airports of Europe directly from this place. Towards the southwest region of Mallorca there is Puerto Andratx. This is a very famous but yet quiet resort. It’s so popular a marina and a port that ends up attracting the boat as well as the yacht owners that come from all over the universe. It is simply a home for some of the greatest restaurants found in Mallorca and therefore has several of the small bars and also the bistros. If you really intend to relax under the warm sun, this is just but the best and great holiday point/base for a destination. It takes just a few minutes ride from the beach and port or simply on the road heading towards the great mountains will simply lead you on to the ancient and historical town-Andratx. While at this place, you can be able to walk around and simply enjoy yourself to its beauty as you relax. If then you are touring this spot especially in the winter then you have to that ensure you have a car of your as some of the hotels and bars may remain closed bearing in mind that the bus service may not function well. The mountains are as usual most of people’s target when looking for a place to visit on Mallorca hence this one offers you this and even more. Those that get to visit whole island of Mallorca always do prefer the southwest area. It has very breathtaking sceneries and is a very exclusive kind of real estate property that is up for grabs or sale. It will therefore appeal to those of property buyers that are simply interested in getting all the most out of the lifestyle of the Mediterranean which has a wide range of the sea front kind of property located in Andratx, Portals Nous ,Santa Ponsa, and Bendinat. 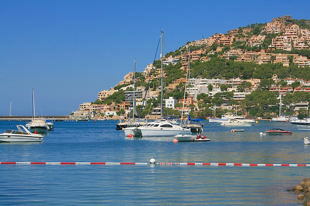 -Puerto Andratx is simply the most ideal place out in the sun so feel welcome at any time of the year.